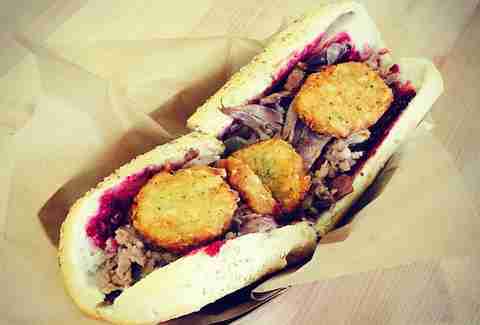 This annual, Coach Madden-inspired special from one of Philly’s best sandwich shops gives you a chance to eat cranberry spread, apple sausage stuffing, creole seasoned duck, chicken & turkey topped w/ hashbrowns at the same time. Pro tip: you should probably get the pumpkin shake to go with it. 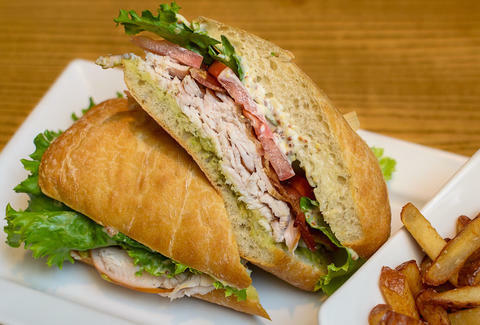 There are lots of things you don't know about Wawa, but one thing you better know by now is that this turkey sandwich w/ gravy, stuffing, and cranberry juice on a freshly baked hoagie bun is available every fall. Get one (or three) immediately. 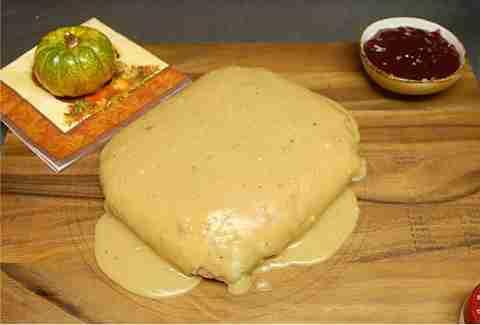 You have until Thanksgiving Eve to down this tortilla-wrapped assemblage of turkey, mashed black bean potatoes, stuffing, corn, and gravy. 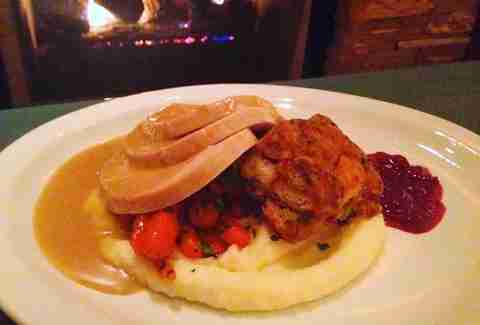 Where’s your cranberry sauce, you ask? Don’t worry -- it comes on the side because the burrito was just too full. Of course you can always count on PYT to come up with a way to get fat in an appropriately seasonal way, and Thanksgiving is no exception. 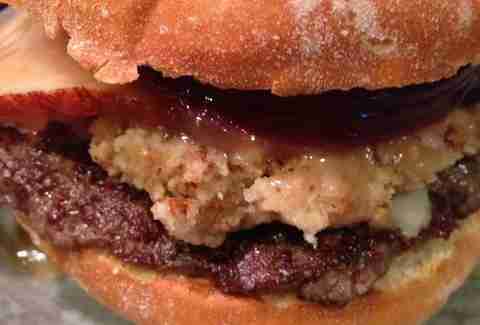 Their Thanksgiving burger includes a grilled dark-meat turkey patty topped with stuffing, gravy, and tangy cranberry sauce between a brioche roll. 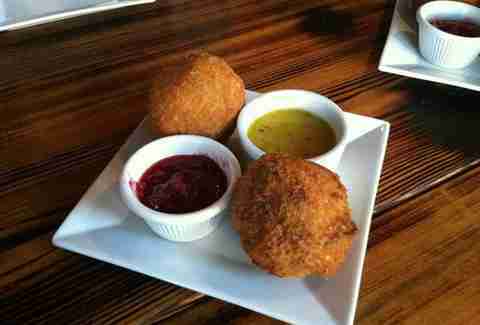 If you want to enjoy Thanksgiving without breaking out your stretchy pants, try the Thanksgiving balls at The Blind Pig. They're basically bite-size turkey and mashed potatoes fried into, you guessed it, a ball, and served with cranberry sauce and gravy for dipping. 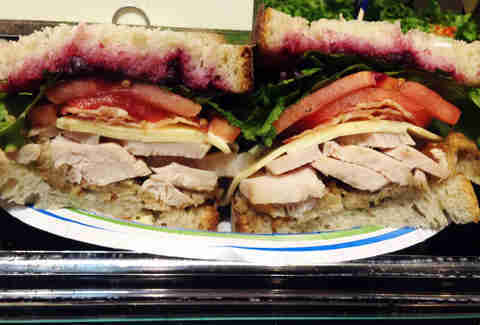 This Reading Terminal vendor offers, appropriately, tons of original turkey varieties, including this seasonal favorite w/ stuffing & cranberry sauce, which tastes like your leftovers are supposed on Black Friday. Jones is your Thanksgiving Day go-to for festive seasonal eats like potato pancakes at brunch or homemade stuffing for dinner, all with a signature Stephen Starr twist. 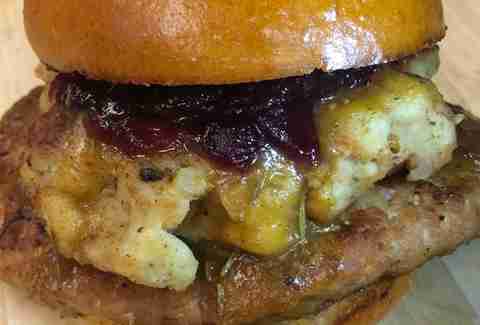 The spot offers a cheesier take on the usual Thanksgiving-themed items with American cheese melted over a 4oz patty, topped with turkey slices, stuffing, gravy, and cranberry sauce.